Open an account, place a bet of $20, and win, lose or draw, receive a $20 free bet token! Choose the best bonus code for you based on how much you want to deposit! Get up to a $200 bonus! Intertops is an online sportsbook as well as a casino and poker room. It’s an excellent option for bettors who enjoy NFL wagering thanks to the welcome bonuses and the other opportunities it offers. Intertops.eu has been operating online for over 20 years and was the first sports betting site to accept an online bet! Intertops has happy customers in over 180 countries and a long history of fair play and cutting edge technology. You’ll need a valid Intertops account before you make a deposit and claim a bonus offer. To create one, navigate to the Intertops website and click on the SIGN UP button at the top of the page. Note that you need just one Intertops account to access all of the services, including the sportsbook, poker room and casino. The relatively brief registration form will require information such as your country, an email address, a username of your choice, a preferred currency and so on. You’ll then have to validate your account through email and perhaps other means, at which point you’ll be ready to go. Log in to the Intertops website. Click the Deposit button at the top of the page. 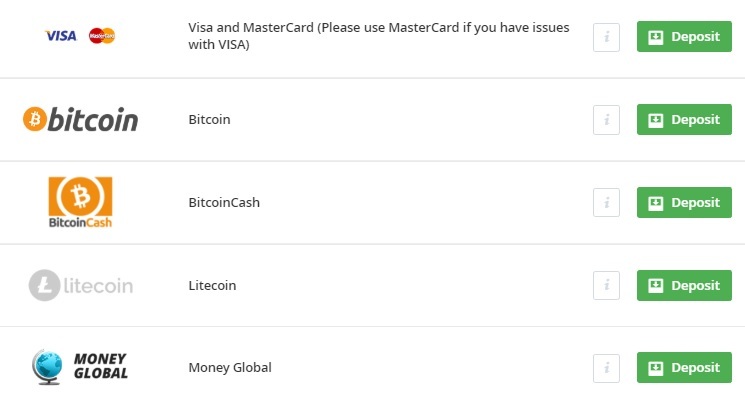 Choose your desired payment method from the list, and click the green Deposit button to the right of it. Next, enter a deposit amount as well as any relevant details, such as a credit card number. Click Deposit again to finalize this secure transaction. Once you’ve made your deposit, click on the Redeem Bonus link under the Sportsbook section on the right nav. See the image to the left. If you’d like to place a real money wager at Intertops, then the sportsbook has four distinct sign-up bonuses that you can choose from. These require one of the following bonus codes – ROOKIEFREEBET, ROOKIE200, ROOKIE100 or ROOKIE50. They vary a bit in terms of match bonus and rollover requirement but all require a minimum deposit, which is generally $20 but can be as low as $10 depending on the method chosen. Click here to join Intertops! 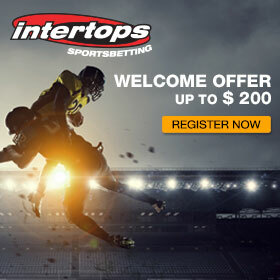 Intertops offers a sign-up free bet which awards new customers with a matching $20 bet. Place your first bet of at least $20 and receive a free bet token worth $20! This is a simple and straightforward welcome bonus. You must redeem the Intertops bonus code ROOKIEFREEBET immediately after making your first deposit. Be mindful that you cannot claim two offers at the same time, and you cannot claim a signup offer once you’ve already claimed this one. The rollover requirement is 16x on your free bet, so you’d have to wager $320 before you could withdraw any winnings derived from the free bet. You’ll need to be on a nice winning streak to meet these requirements, but hey, it’s free money with NO RISK to you! 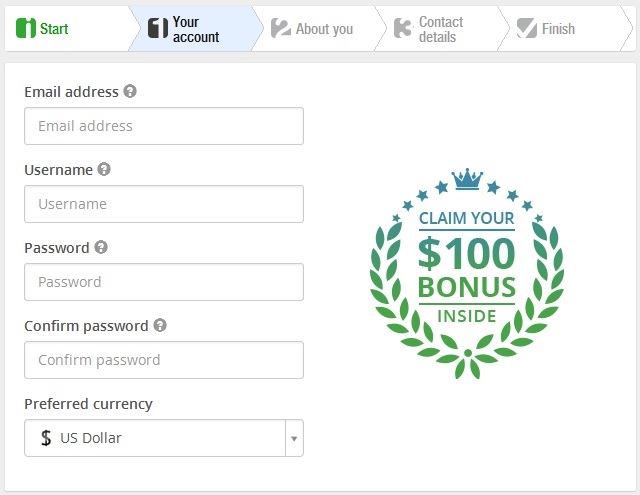 This bonus matches your initial deposit by 200% up to $50. So, if you deposited $25, you’d max out the bonus and have $75 overall to wager on NFL games. The rollover requirement is 8x, which means that in our example , you’d need to play through 8 x ($25 + $50) = $600 before you could make a withdrawal. Only wagers at -200 (1.5) count toward this requirement, and bets over $50 are counted as $50. Using bonus code ROOKIE100 instead will have the sportsbook match your deposit up to $100. This bonus has a rollover requirement of 6x, so if you deposited $25, you’d have to wager 6 x ($25 + $25) = $300 in order to withdraw any winnings. The odds limit is -200 (1.5), and wagers count up to $100. Use bonus code ROOKIE50 to have Intertops match your deposit by 50 percent up to $200, which means you’d need to deposit $400 in order to max out the bonus. This offer only has a 4x rollover requirement, so if you deposited $25, you need to play through 4 x ($25 + $12.50) = $150. Minimum odds are -200 (1.5), and up to $200 of every bet you make counts toward to wagering requirement. Most bettors will want to decide how much they are willing to deposit the first time around. Then, you can simply choose the promotion that provides you the greatest return. If you want to post less than $51, then ROOKIE200 make sense. ROOKIE100 is a better deal for deposits from $51 up to $200, and for deposits greater than $200, ROOKIE50 provides the biggest overall bonus. The $20 free bet is also a nice option as there is no risk once you start playing with the free bet. You will have to be lucky enough to wager a total of $320 and still have some money left over, but it’s definitely possible. If you just break even on your bets, then after wagering the $320 you will have $20 left over – which you can now withdraw! Intertops offers a handful of other opportunities that NFL fans may want to consider. Be mindful that you can only ever have one bonus active at a time, so you may need to plan your deposits. Intertops often has a reload bonus active. As of this writing, the current reload bonus celebrates Super Bowl LIII between the New England Patriots and Los Angeles Rams. Use the bonus code SBLIII100 to have your deposit matched by 50 percent up to $100. The deposit and the bonus have a rollover requirement of 8x, and the minimum odds to count toward the requirement are -200 (1.5). Like NFL parlays? Then, Intertops has you covered. This promo applies to parlays with at least four selections and odds of at least +300 (4.0). If your parlay loses due to one incorrect tip, Intertops will give you a $50 free bet for another parlay, and you can claim up to 20 such bonuses a week. The rollover requirement is 16x. Each month, Intertops tracks all parlays to determine who won the highest net profit on a single bet. The winner gets $1,000 without any wagering requirements, which means that you can withdraw it straightaway. Odds Hunter is another monthly promotion targeted at parlay fans. The winner is the member who placed the wager which the highest odds in a given month. The winner receives $500, and that money has no rollover requirement, so you can withdraw it or wager it how you see fit. Sign Up to Intertops Today!